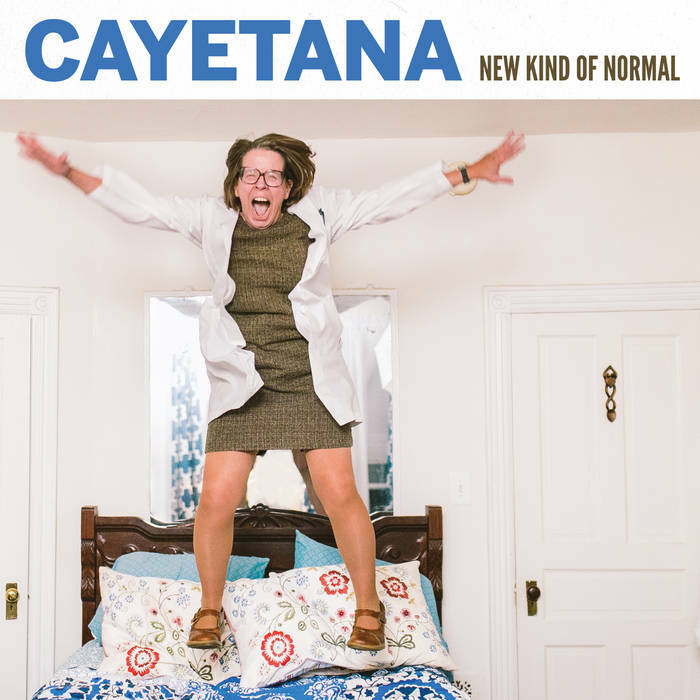 When Cayetana's first album, Nervous Like Me, came out, it was the calling card of a bold, scrappy band. But three years bring a lot of change and upheaval. Like the rest of us, Cayetana did not leave their early 20s unscathed. New Kind of Normal is darker and richer -- a more complex music for a more mature band. It's also an extremely tough listen, as it chronicles the ups and downs (mostly) of struggling with depression. It viscerally hurts me to listen to lyrics like the chorus of "Grumpy's,"
is that your friend or your drinking buddy? your first call, or the understudy? was i your friend or your drinking buddy? If Cayetana has grown in terms of their lyrics, they also have in their musicality. Songs shift tempo abruptly and Allegra Anka's rolling, lyrical bass has promoted her to my pantheon of favorite bassists. Steel your heart and then get ready to bust it open for one of the finest albums this year.